Winner of 2012 WAN House of the Year award. dsa ENGINEERING was appointed to provide a zero carbon solution to the heating and cooling for this private residence located in a rock quarry. 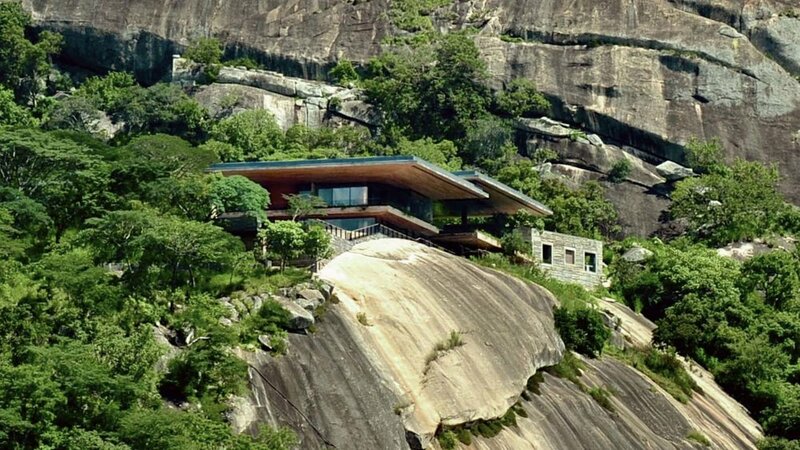 The house sits on a rock perch overlooking the dam below. The cooling system uses the year-round supply of fresh dam water within fan coil units. In the summertime, the dam water never exceeds 16ºC. The dam water needs to be pumped up from the dam to a storage tank above the house for domestic water supply. This same water supply is used to trickle through fan coil units within the house during the summertime and then it is returned to the dam. The pump is powered by PV cells to enable this system to be virtually carbon neutral.